If Fall is your favorite season, enjoy it year round in this room. This is the largest room on the lower level with two queen beds. 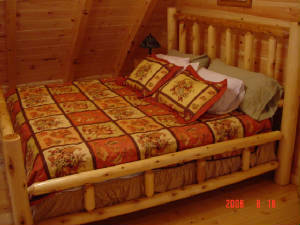 We offer seasonal rooms. Each guest can enjoy his favorite season any time of the year with our four themed rooms. On this page we will provide as much information as possible about each type of accommodation we offer. We strive to have each one of our rooms be uniquely decorated and spotlessly clean. We have four different themes for our rooms. The spring room has a stunning view. 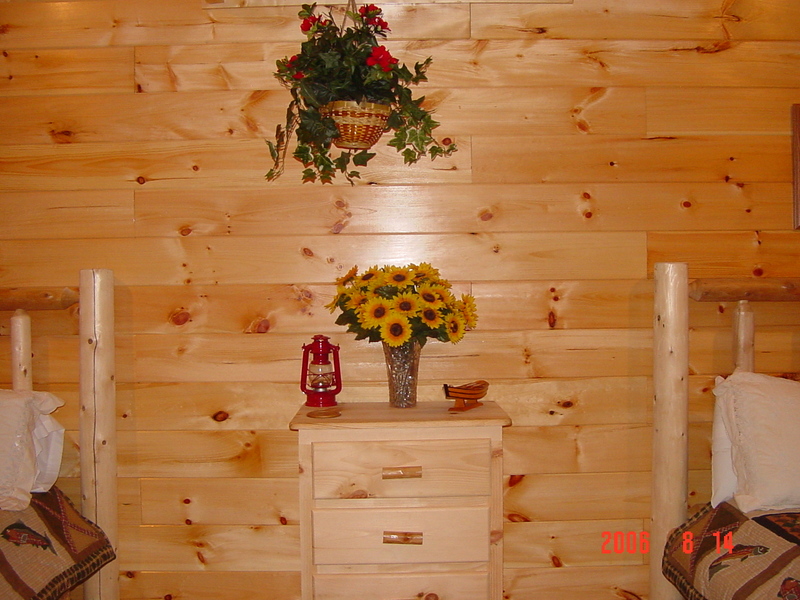 There is access to the lower deck on the lower level, which also includes the summer room. Each of the four rooms has a television and dvd player. 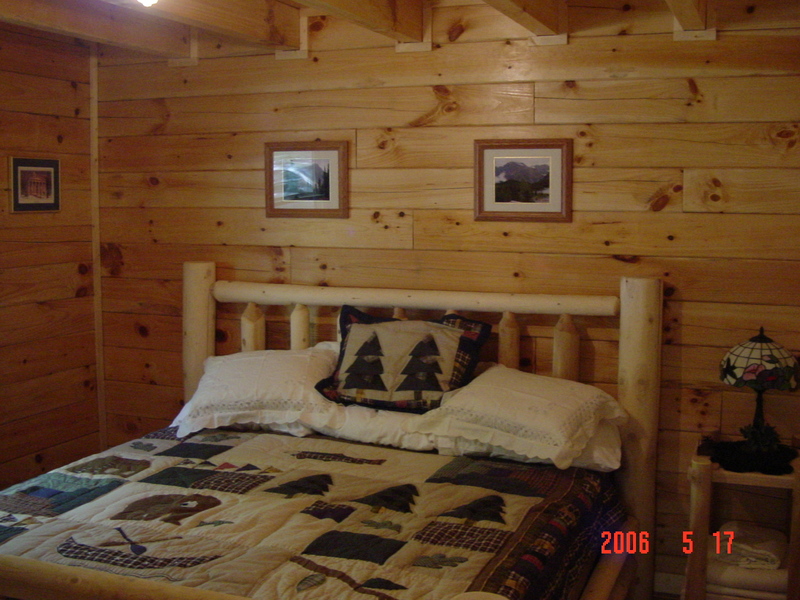 The winter room is on the main living area, and the fall bedroom is in the loft. The loft also includes a pool table and Playstation 2. Winter can be very cozy in this main-floor room.